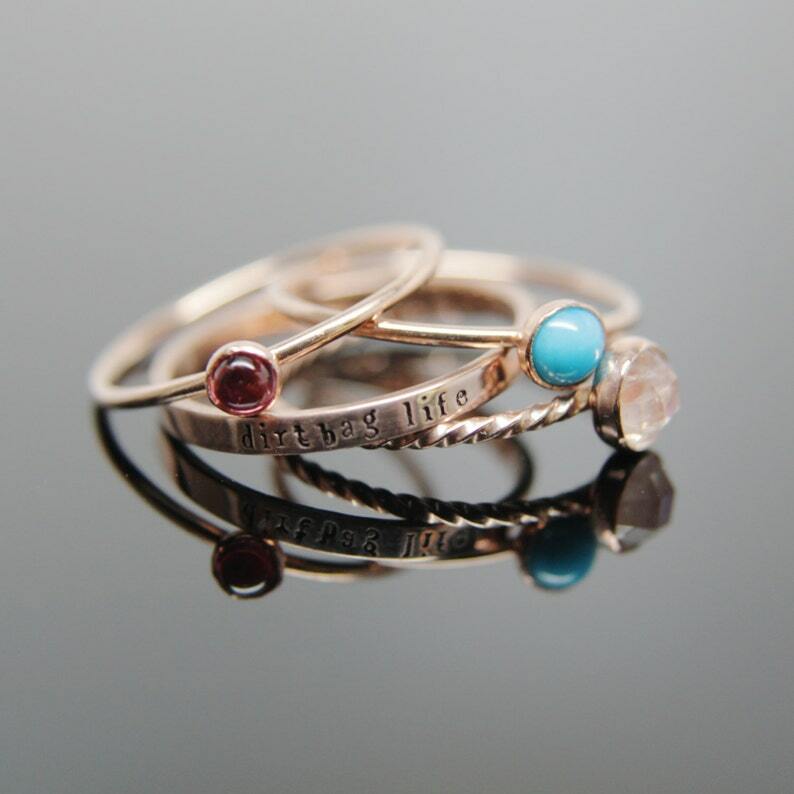 This listing is for three gemstone stacking rings atop plain and twist bands, and one personalized message ring in 14k rose gold. *these are only available with plain edge bezels. Please tell me which 3 gemstones you prefer in Notes to Seller at checkout.